Vice Admiral Girish Luthra on Monday succeeded Vice Admiral Sunil Lanba as the Flag Officer Commanding-in-Chief of the Western Naval Command. 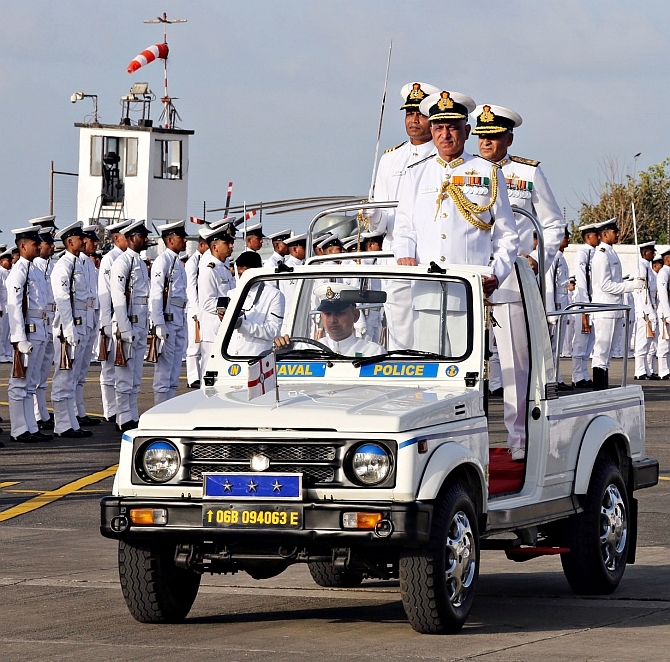 Vice Admiral Lanba, who will proceed to New Delhi to take over as the Chief of Naval Staff on Tuesday, handed over the command to Luthra at a ceremonial parade in Mumbai on Monday morning. Addressing command officers and sailors, Lanba said securing marine time environment was on the top of list, while commanding to maintain highest faith of honour. The enormous task of heading the command has been made possible due to the professional and whole-hearted efforts of all the command members, he said. There is a requirement for all Navy personnel to work smart since there is manpower shortage and it is expected to continue over next few years, he said. Lanba said during his tenure he focussed on improving the life of all marine communities. Before taking over as Flag Officer Commanding-in-Chief of Western Command, Vice Admiral Luthra served as the Flag Officer Commanding-in-Chief of Southern Naval Command. Luthra was commissioned in the Executive Branch of the Indian Navy in July, 1979. He is an alumnus of the National Defence Academy in Pune, the Defence Services Staff College in Wellington and Naval Command Naval War College, US. Director Naval Plans, Assistant Chief of Naval Staff (Policy & Plans), Director General of Naval Operations and Deputy Chief of Integrated Defence Staff (Operations). Luthra was awarded Ati Vishisht Seva Medal in 2012 and Vishisht Seva Medal in 2008.